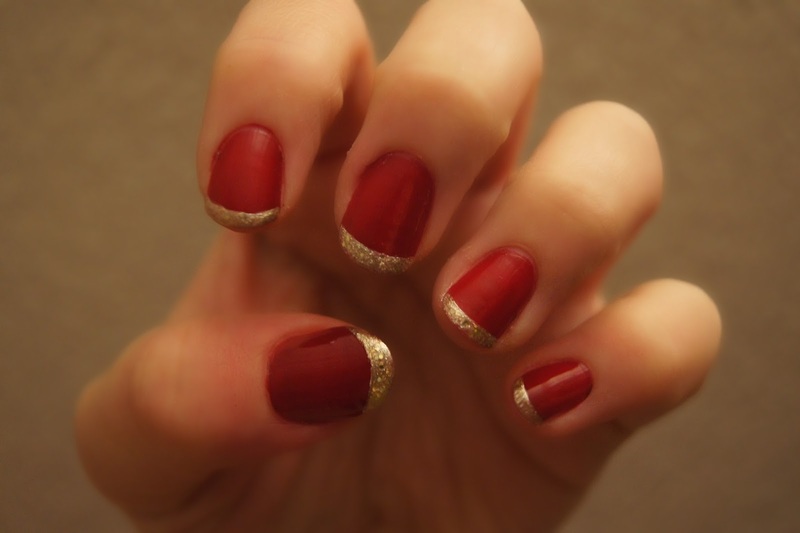 Number Five is the Christmas French Manicure and I almost feel like I'm cheating with today's nails because they're so unbelievably simple: a French Manicure in festive red and gold. Look out for tomorrow's nail art and have a gorgeous day! Oooh I love this look I might have to give it a try!